Romanticism is Alive and Well in Asia! Hoi An, or “Peaceful Meeting Place,” is a small city in the Quang Nam Province of Vietnam, with approximately 120,000 inhabitants. The city has been an UNESCO World Heritage Site since 1999, respectively. The city is known for its historical district, with a well-preserved trending port dating back from the 15th century. 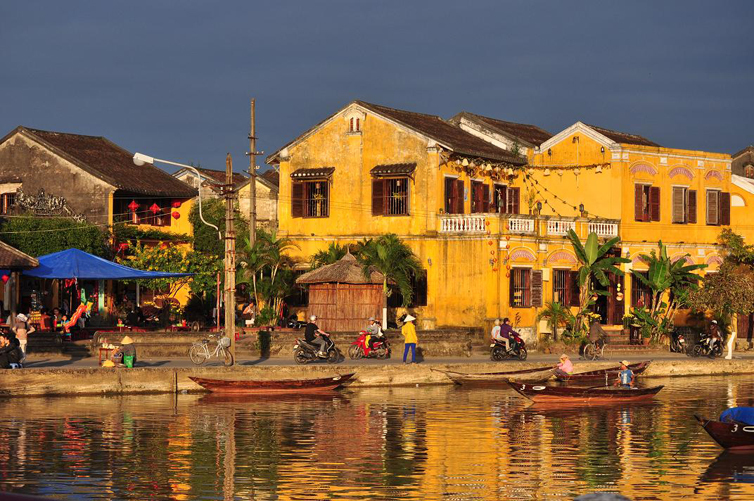 The architecture of Hoi An is a blend of influences from Indigenous tribes, China, Japan and Europe. Hoi An has ideal weather conditions, including a tropical climate and warm weather almost all year round, which makes having a good time easy. Hoi An is considered one of the most romantic cities in Asia, so while walking around you may see many instances of PDA (public displays of affection) such as couples holding hands or hugging. It is also rated second on the 17 best places in the world to take a selfie, so while visiting be sure to have your camera and selfie stick ready to take lots of pictures, which you can later post with GLYD to document your trip. 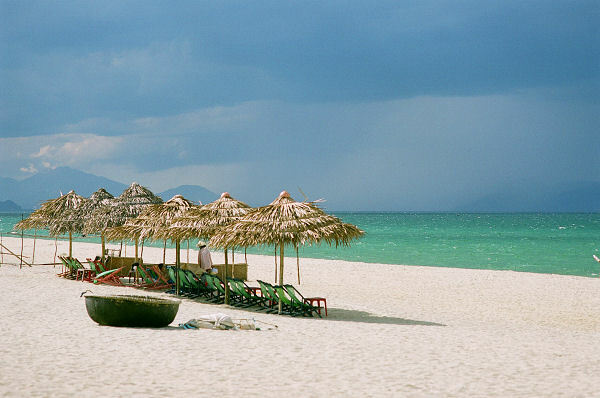 Now, a place like Hoi An offers many experiences and unique spots to explore, so let’s get to it! One of the first things you should do when arriving in Hoi An is to walk in the streets along the canal. The Hoai River is well-known and rich in culture- while walking there, you will see many locals, restaurants and get a real sense of the Vietnamese life. At night the river grows quiet, but the canal is beautifully lit up and is a great place to sit back and relax. Another hands-on way to observe life in and around the city is by renting a bike and cycling through the rice paddies and the backstreets of the villages. 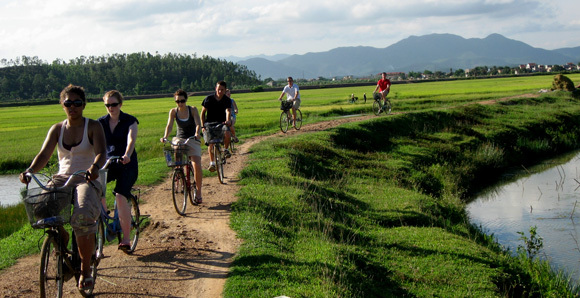 Locals say this is one of the best ways to experience Hoi An. So get up early, have breakfast and bike to your hearts content, concluding your ride at the Cua Dai Beach for a refreshing swim in the ocean. For you foodies out there, Hoi An offers an exclusive food tour where you will learn new and surprising information about Vietnamese food. 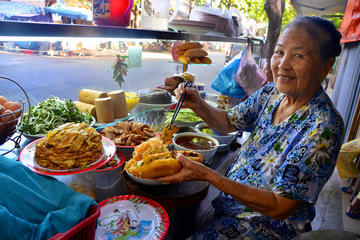 The tour will walk you down roads of discovering hole-in-the-wall eateries straight from the streets of Hoi An and experience the best local foods around town. You will try up to 10 dishes, so it is recommended to have a light breakfast and don’t plan to have dinner after! Visit the Tan Ky House to see the influence of Chinese and Japanese within the Hoi An architecture. The place was built two centuries ago by a Vietnamese family, but you will notice that the ceiling includes Japanese elements, and the interior of the house is decorated with Chinese poems hanging from columns that hold up the roof. The back of the house faces the river and you will spot some European architecture styles in the courtyard, which shows the blend of the influences in Hoi An. The Tan Ky House is a beautiful place that you will not see anywhere else in the world. Last but not least, be sure to visit the Japanese Covered Bridge, one of the most popular spots in the city. The bridge was constructed in the 1590s by the Japanese community living in Hoi An, and over the course of centuries, the bridge has been well-preserved. Hoi An is a great city to uncover and, before long, you will find yourself immersed in the spectacular Vietnamese culture.